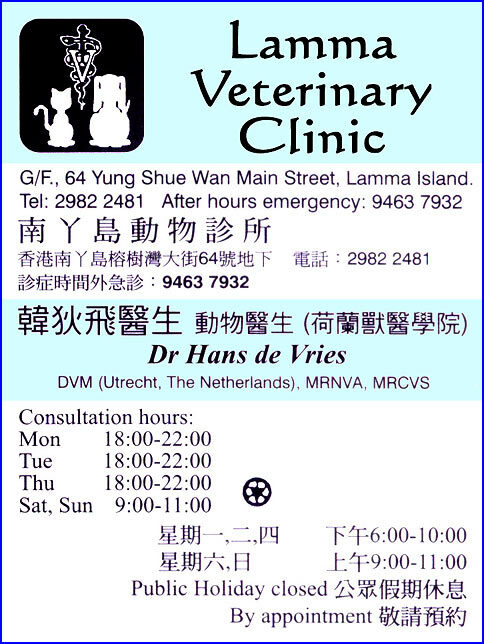 Is the vet on Lamma Island charge cheaper? How much does it charge? Anyone can tell me about that? Its quite reasonable, but you'll need to hire an interpreter to translate gibberish to Dutch and then another interpreter to translate that into English or Chinese. Isn't there still a Chinese vet behind TIntin's pet shop, who speaks English as well?